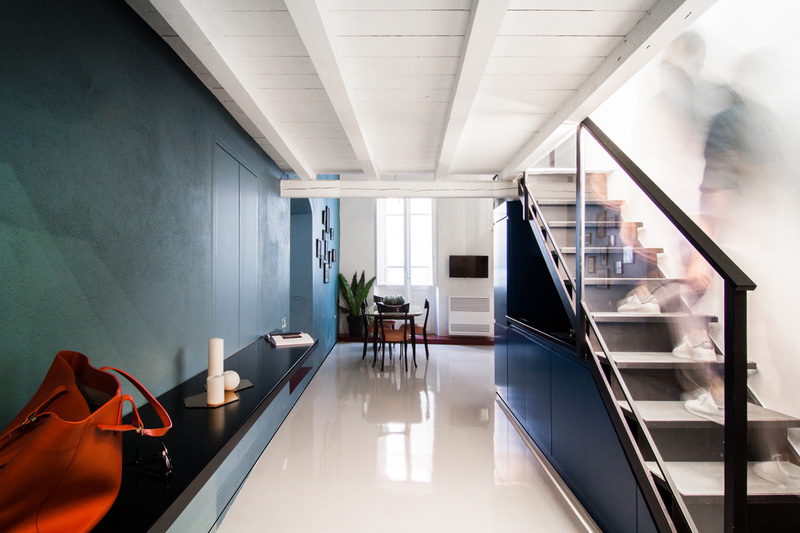 Tiny retro touches are mixed in with this ultra-modern interior home in Italy. 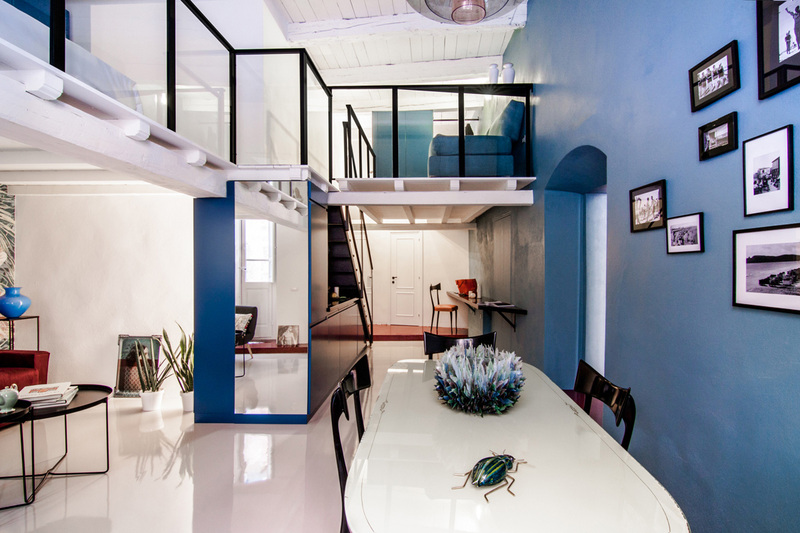 The level of contemporary design is almost out of place to its historic surroundings, but it somehow works beautifully. 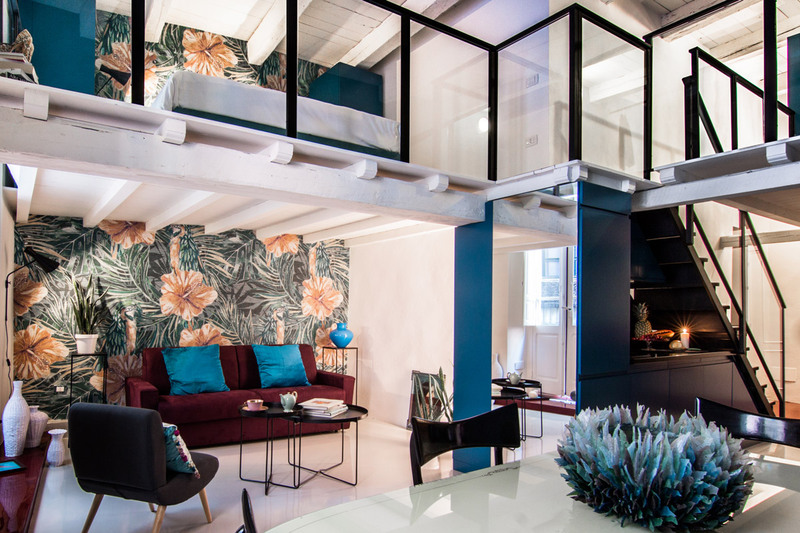 Originally created to be a home away from home to tourists, the colorful loft design could easily be a forever home for the right person. 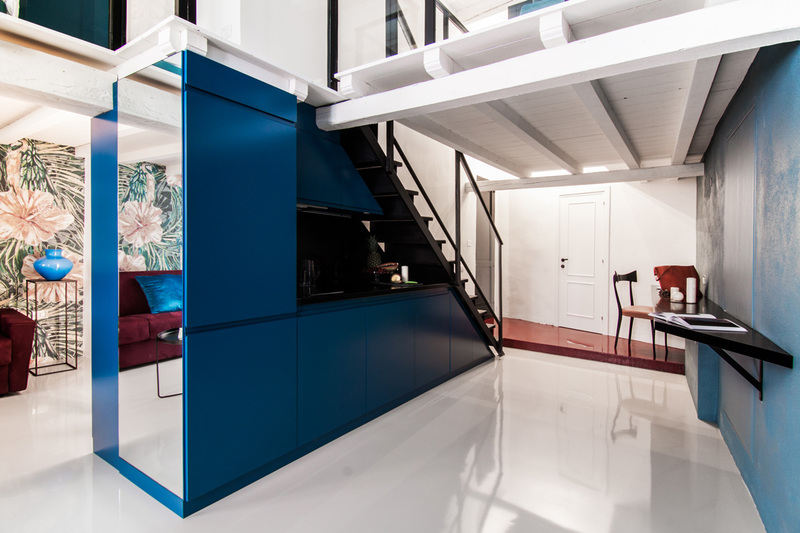 Architect brothers Mauro and Matteo Soddu set out with an idea to create a loft apartment interior design with modern colors on the limited 538 square feet (50 square meters), and the result was Cobalt 14. 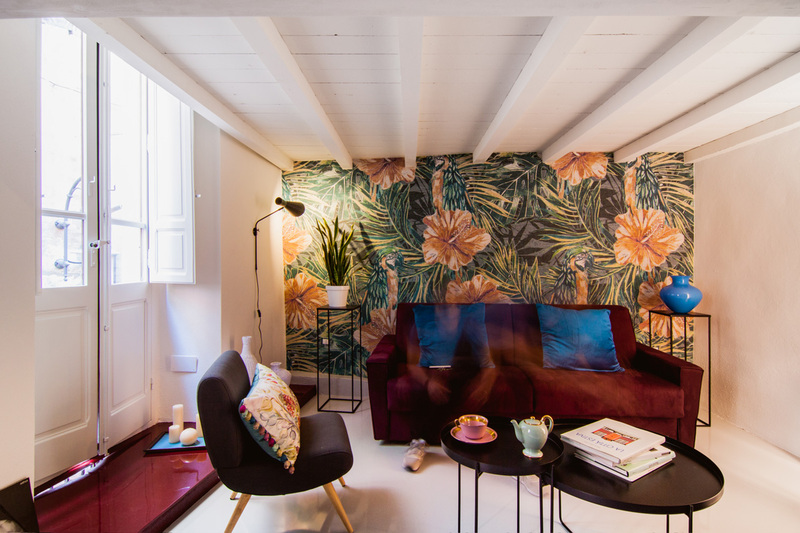 By keeping the furniture and decor simple, it allows the gem-like colors to take the lead. 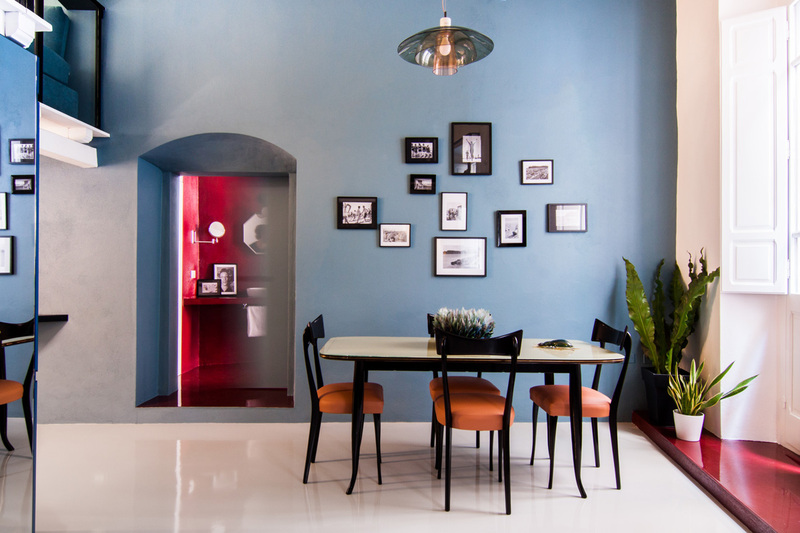 Navy, cobalt, ruby red, and a dash of amber orange bring an eclectic life to the home. 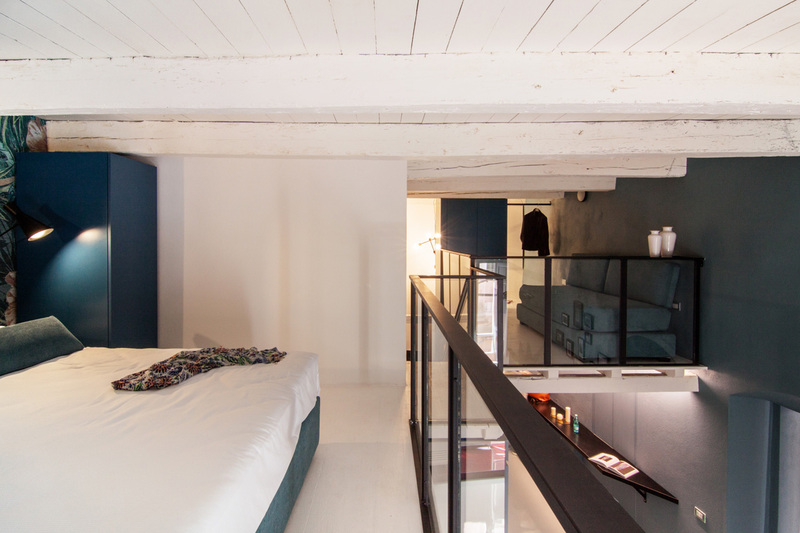 As far as loft design ideas go, the Cobalt 14 encompasses all the right features. 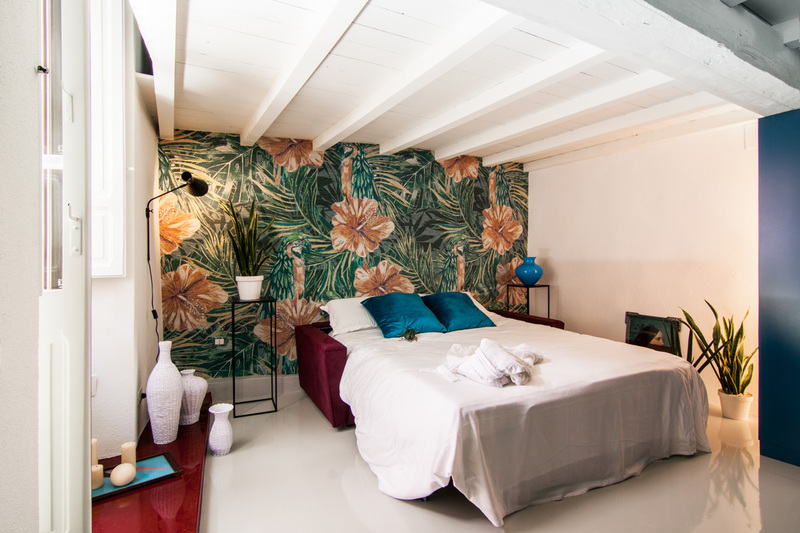 Rather than dividing the space with two floors, the upper loft area is as open as it can be without affecting the privacy needed for the bedroom area. 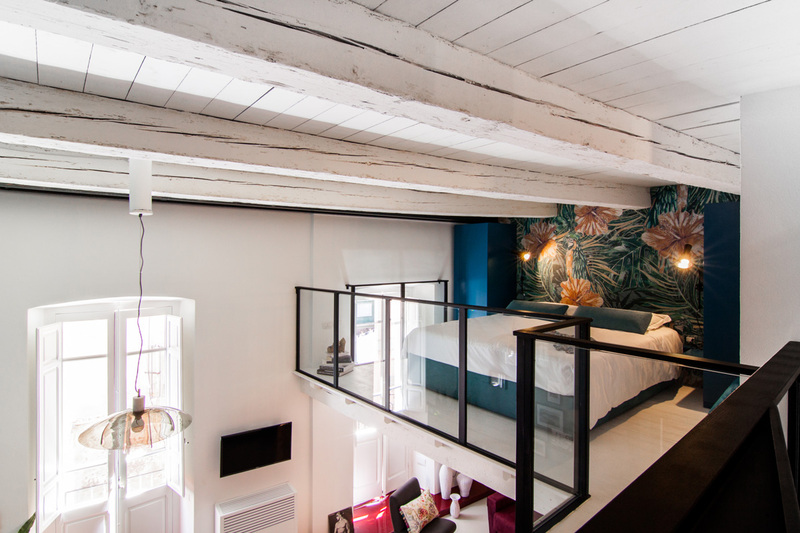 The colors are toned down on the upper level, letting the detail of the painted white wooden ceiling to come into play. 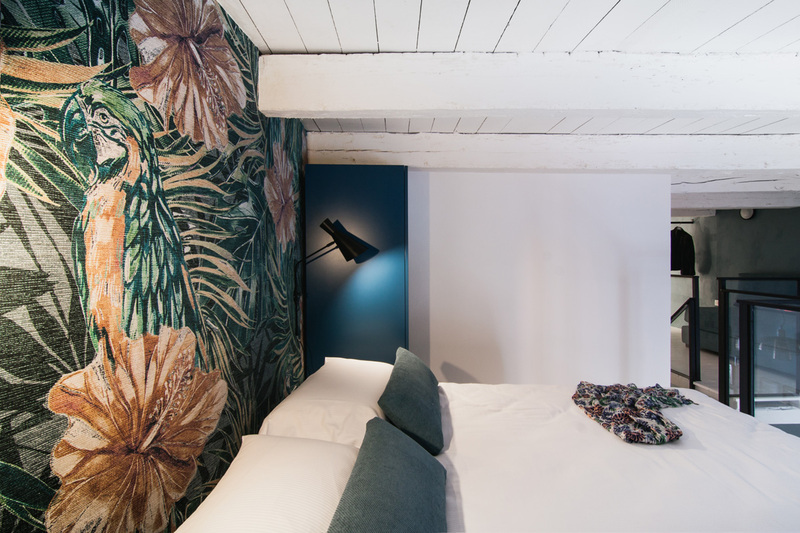 Only the green and amber orange of the tropical wallpaper provide the impact of color there. 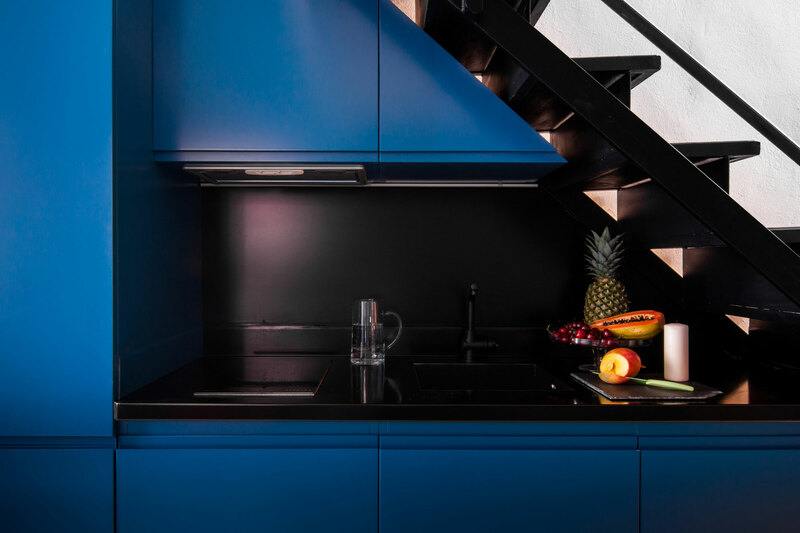 Downstairs, the dark navy kitchen is all but hidden with flush, modern cabinetry and inset appliances. 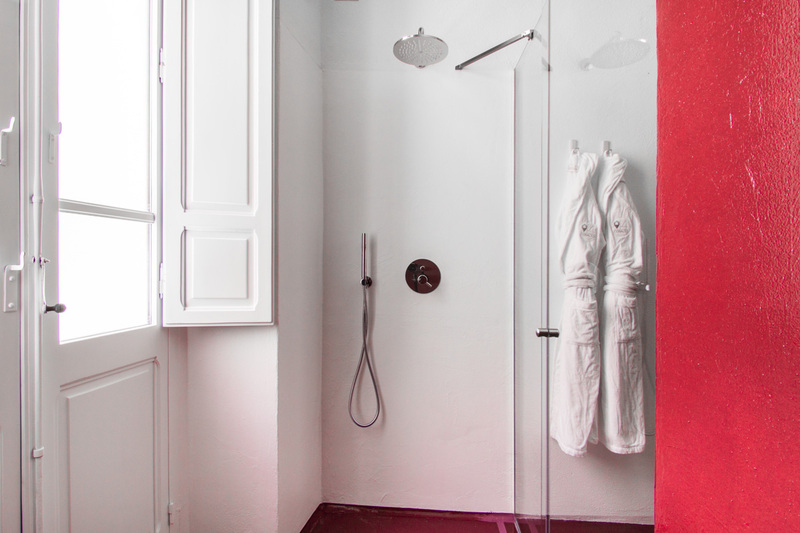 The colorful loft design is carried throughout the rest of the home and into the ruby red bathroom. The color is dominant but not overwhelming, and lets the stark white of the porcelain fixtures pop. 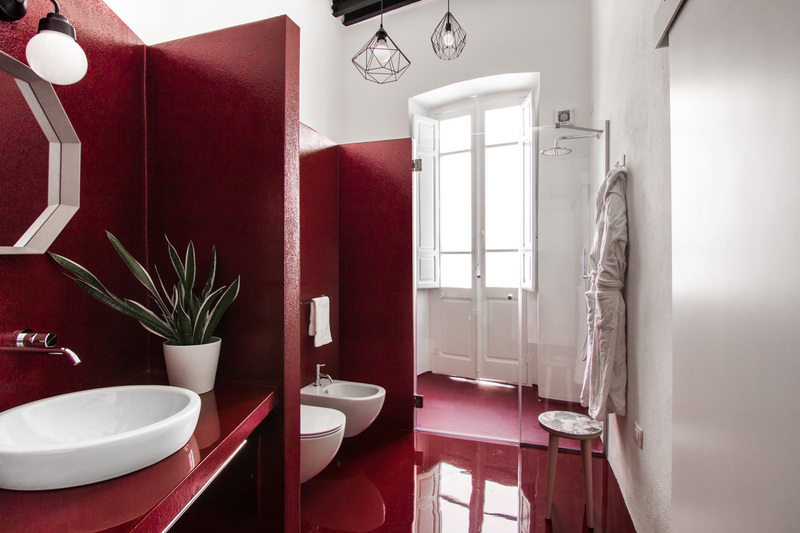 Double sinks and a white subway tiled shower break up the deep red and help balance it all out.